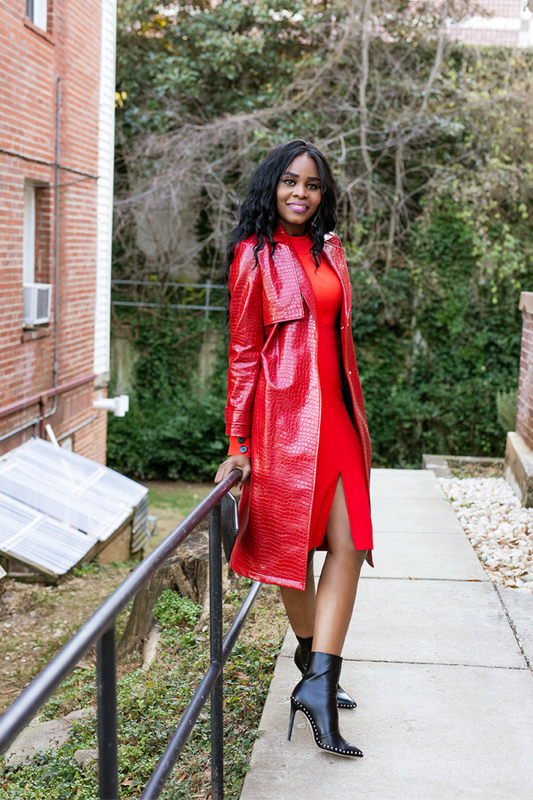 As I was preparing my first blog for the year I felt that it was imperative to present a styling image that brings out a lot of creativity and efficiency that details more than just this red statement-making, head-turning, stunning, croc-embossed trench coat. It fits perfectly at the waistline and a detailed belt from Nordstrom. Because one of the questions that gets asked a lot is on planning the outfit needed for a shooting. 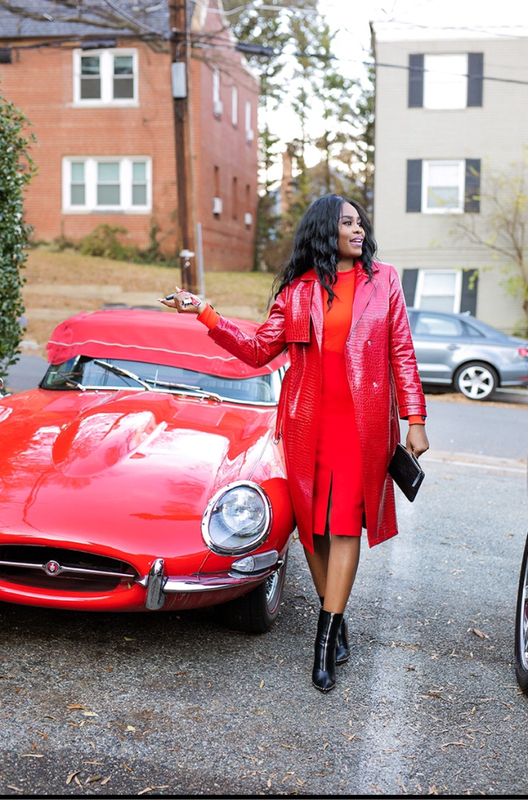 I have to say that it was pretty easy for me because I virtually did all of the shopping online where I was able to select the red croc jacket from Nordstrom, and the red skirt from Zara. Once the items are selected, the next important step is to plan the layout of the images with my photographer. I always link this planning part to my storyboard unless I see a new trend on TV or in a magazine. Another part that I’d like to highlight is the shooting. Because it was done during the festive season, it took some time to do the retouching. But as soon as that was done, I took a final look at it and made sure I selected the ones that will be able to tell the stories intended for my audience before I uploaded it to the site for you to see. You can shop this outfit and my other favorites from the Nordstrom link below. I always look forward to your blog post and all the interesting topics you dish out each week, and I must confess that this red is hot and you’re absolutely killing it girl. Now that’s a statement coat! Loving all the red!